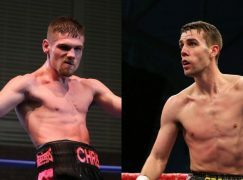 BoxingWales Annual Awards 2014 Liam Williams vs Michael Lomax, TKO1 – Knockout of the Year In 2014, Welsh boxing’s best-kept secret was well and truly let out and British heads continued to be turned by Liam Williams (12-0-1, 7KO) as the year went on. 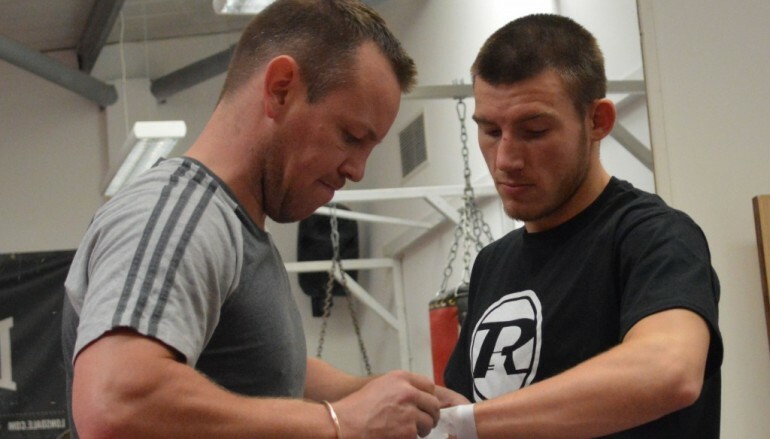 Locally known in the Rhondda valleys as ‘Dully’, the light-middleweight was anything but dull in his four fights in 2014, winning all inside the scheduled distance. Williams was the first to stop France’s Youri Pompilio, he then retired Ronnie Heffron in the Mancunian’s hometown, before knocking out Stepan Horvath quicker than Chris Eubank Jnr and Frank Buglioni had managed. However, it was Williams’ most recent outing in November that was his most destructive when he faced Essex’s experienced Michael Lomax for the vacant Commonwealth title. 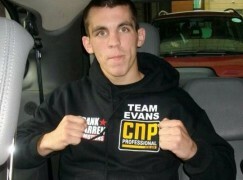 On a Monday night in London, the bout headlined a Frank Warren dinner show and Williams gave the punters little time to finish off their starters at Mayfair’s Hilton hotel. The 22-year-old hunted from the first bell, gaging the range with a prodding jab and feinting an attack with his feet to trigger premature reflexes from Lomax. Williams was never in range for the counters and after several testing approaches, he maneuvered Lomax to the edges of the ring where there wasn’t room to escape. Stepping in with a fully extended right hand, a much faster Williams sent a shocked Lomax reeling across the ring and in to the ropes. 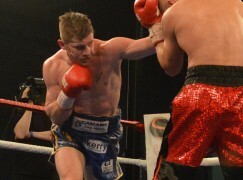 The referee, Marcus McDonnell of Twickenham, called it a knockdown and proceeded to count. It prompted a brief protest from Lomax but in reality, he benefitted from the decision as it gave him time to recover. When the action recommenced, Lomax was allowed no more time to gather his senses. Williams sent repeated right hands down the pipe. Lomax was wide open and again found himself trapped against the ropes, bent over and covering up with no sign of reply as Williams hooked away, forcing the referee to stop the fight. One of Lomax’s most awkward features is his lean-back stance but it played right in to Williams’ hands as his orthodox backhand couldn’t miss. It wasn’t the first time ‘The Machine’ finished a southpaw in the opening round, having taken just 30 seconds to run over the crafty Paul Morby three years ago. It’s not disrespectful to label Lomax as a domestic gatekeeper. The former ABA and Prizefighter champion can succeed at English or sub-British level but he’s acted as a measuring stick for fighters with aims at the levels above. In stopping Lomax inside three minutes, the manner of Williams’ victory has put him in a bracket alongside Kell Brook, Frankie Gavin and Matthew Hatton who all progressed on to the European and world stages. Like countryman Nathan Cleverly, Williams won the Commonwealth title in his 13th fight. Although it’s too early to predict a rise to world level like his ex-gym mate experienced, Williams is showing as much potential as anyone else in Wales. In Williams’ early fights as a professional, the Clydach Vale native didn’t appear to be a standout power-puncher of note. It’s credit to the technique and tactics that Williams has worked on with his trainer, Gary Lockett, that’s seen him become a hard hitting two fisted fighter with a spiteful finishing instinct. 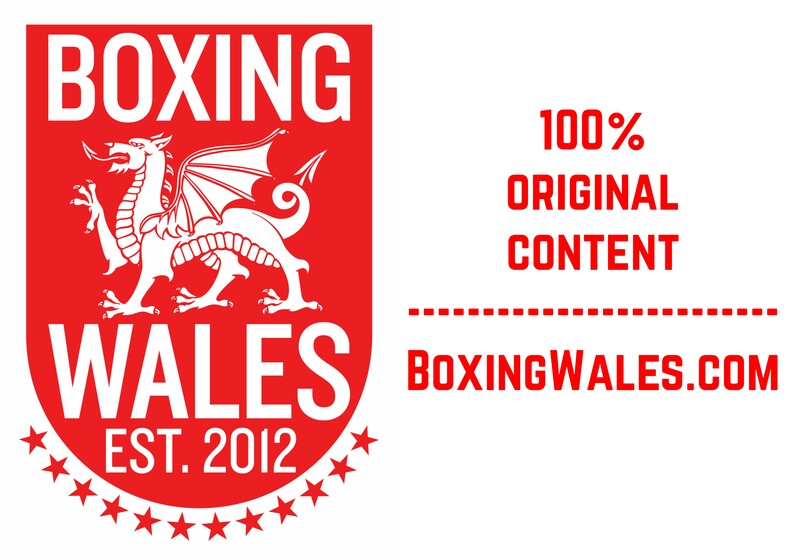 Watch the knockout below: Previous winners: 2013, Craig Woodruff v Dai Davies.